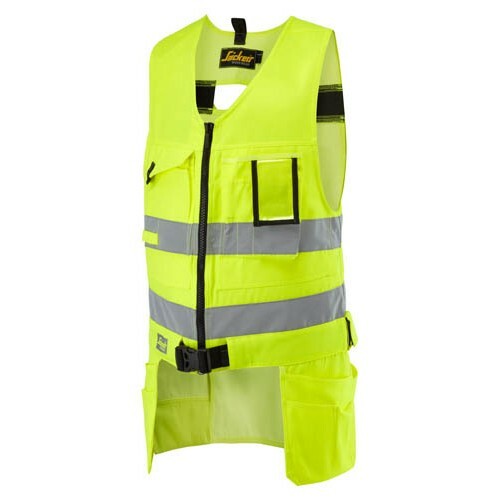 Improve safety, visibility and versatility with this high visibility Toolvest. It features a range of easy-access pockets, including holster pockets, and stretch fabric in the back for superior freedom of movement. EN 471, Class 2.